At the general assembly 2017 we changed our bylaws. The most important change was, that now all Swiss alumni automatically become passive members of the association. Since then we sent out a letter to all the „new“ members. We informed them about the association and asked them to update their contact information. We updated over 100 addresses and, even more important, 14 alumni decided to become active members. So the number of active members increased for the first time in many years. But there are two big challenges that we are facing: we have more than 270 invalid contact information – 35% of all the listed alumni. All we have is their name and cast and sometimes an address, that is most likely from the time when they travelled. To find out the current address takes a lot of effort and is often not successful. The most helpful way is through fellow cast members that may have a contact through social media. But for data protection reasons, we cannot just publish or send a list with names. We are working on ideas to find out where all these Swiss people, which once have been on the road with UWP, live today. The second challenge is that we still need to find and motivate more young alumni to take an active role in the association. Today there are 3-8 new Swiss students travelling every year. The „gap“ to the older alumni is big – they are from another generation. So, we need to find out, what they expect from an alumni association and how we can involve them in the UWPSAA. Fortunately, we do have some young members, hopefully they can help us to find some answers to our questions. I am very proud of what we achieved in the last years and I am looking forward to the years to come. 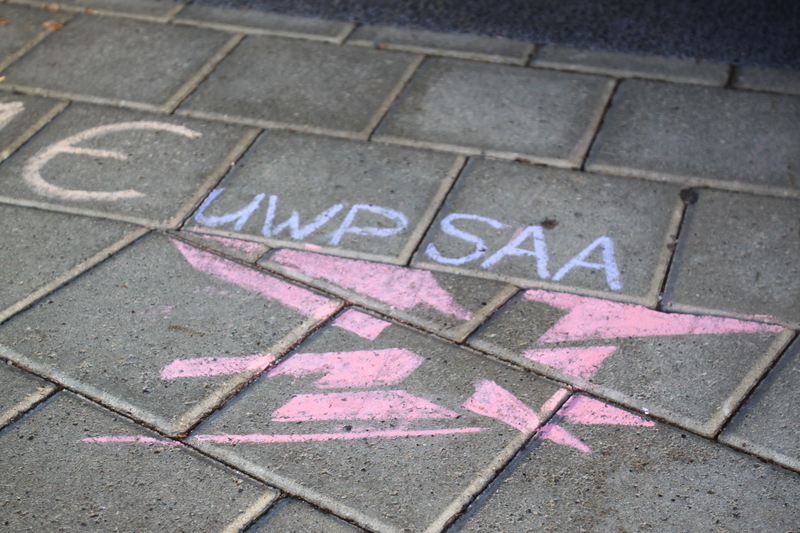 But the future of the UWP Swiss Alumni Association depends a lot on how the members are involved, what their ideas and needs of the association are. So please let me know – either personally or through an email or a call!